Published July 29, 2016 at 507 × 340 in Enchanting Getaways from Around the World. A four-night, All-inclusive Journey with eight spa treatments per person, daily meals, access to fitness facilities and classes, outdoor activities, and more. 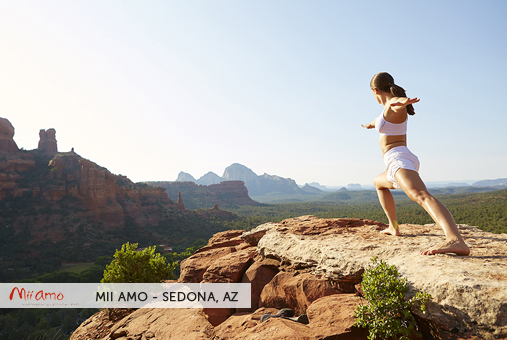 Framed by the breathtaking Boynton Canyon and inspired by the region’s Native American roots, Mii amo’s thematic design sweeps across a 24,000 square foot, two-level main building.